The Kaduna State Government has commenced the process of domesticating the Nigeria Multisectoral Strategic Plan of Action for Nutrition (NMSPAN), to address the problems of malnutrition in the state. Director, Development Aid Coordination, Planning and Budget Commission, Malam Salisu Lawal said on Monday that the 2019 to 2023 adoption of NMSPAN had been approved by the state Executive Council. Lawal, disclosed this at the opening of a three-day workshop held in Zaria. He said that the aim of the work shop was to look into the national document for adoption, as the measure has become necessary to strengthen the fight against malnutrition in the state. 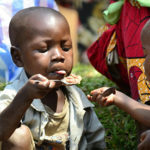 According to him, to win the war against malnutrition requires strong collaboration with development partners, the academia, media, private sector and all relevant stakeholders. “This step supported by the United Nations Children’s Fund (UNICEF) marked another milestone in our journey towards curbing the scourge of malnutrition in our dear state to save our children from preventable death. “It will also serve as a guide for the identification, design and implementation of the intervention activities across the various sectors to ensure adequate nutrition and health of Kaduna residents,’’ he said. He added that the state government had already secured a loan from the World Bank to finance food and nutrition activities in the state. The director thanked UNICEF, Save the Children International and other development partners for their support in curbing malnutrition in the state. Also speaking, Oluseyi Abejide of Save the Children Internal, noted the need for adequate nutrition for children to have a very good start in life. “This is possible only when nutrition takes the rightful place in the development agenda. “Having the plan is not enough to rid the state of malnutrition until the plan is fully implemented accordingly,” he said. Malam Sani Hassan, a consultant with UNICEF, Kaduna Field Office, commended the state government for putting viable strictures in place for the fight against malnutrition. Hassan reiterated UNICEF’s continued support toward addressing the dreaded diseases that had continued to claim the lives of children under five years in the state. He called for more collaborative efforts to sustain the successes being recorded in improving the nutrition status of women and children below five years. Newsmen report that the NMSPAN provides the framework for addressing the problems of food and nutrition insecurity at all levels in the countries. The goal of the plan is to attain optimal nutritional status for all Nigerians through accelerating the scaling up of priority of high impact nutrition specific and nutrition sensitive interventions. It also hoped to create enabling environment for improved nutrition, focusing on the most vulnerable, especially women and children, as well as internally displaced persons.